1. Privately financed international students from Asian countries, studying at a graduate school in the field of science and engineering as regular students. 3. Those who are able to attend the monthly seminar hosted by the foundation (in principle, the second Sunday of each month). Applicants must submit the following documents directly to the foundation. 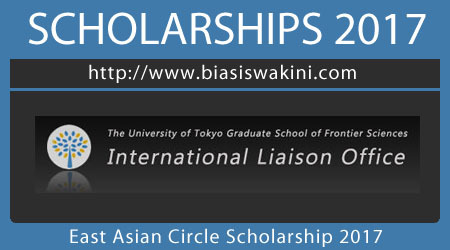 0 Komentar untuk "East Asian Circle Scholarship 2017"